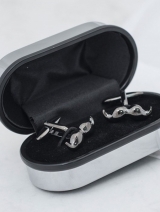 If your loved one is a proud moustache-owner and spends hours trimming and preening their pride and joy, we've got just the gift! 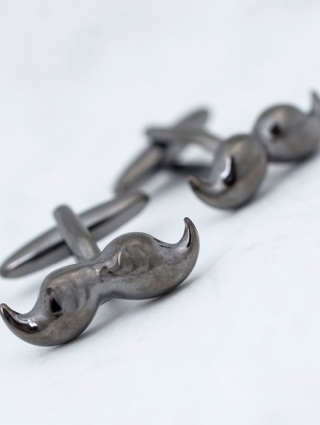 Our cufflinks in a personalised box are are shaped like a moustache and are a great way to finish off their suit shirt! The cufflinks come in their own silver-plated box which can be personalised with a message of your choice to be engraved in a lovely script font. 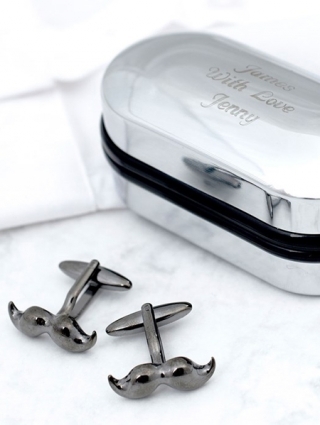 Whether it's their birthday, an anniversary or you just want to help them fix up, it's a lovely way to add a bit of glamour to their favourite shirt!